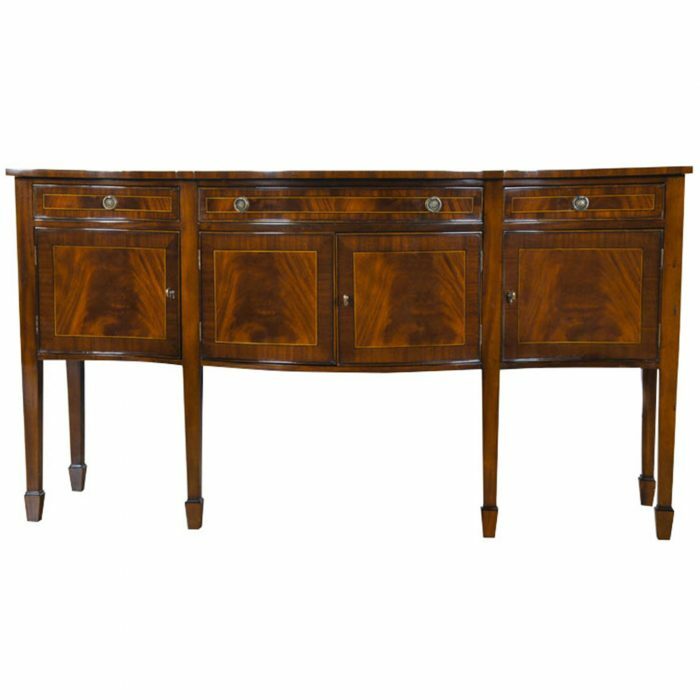 Our best selling buffet, this Classic Banded Sideboard has it all with sophisticated design and practical storage. 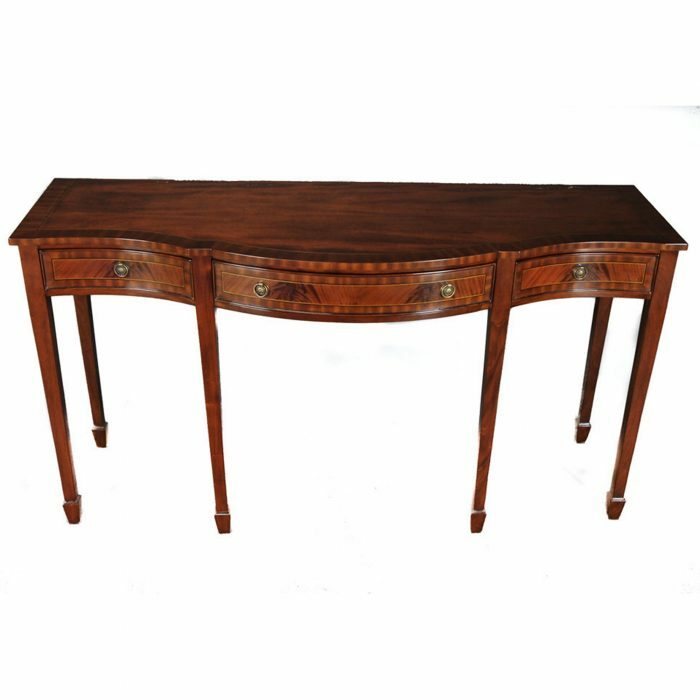 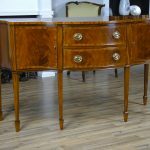 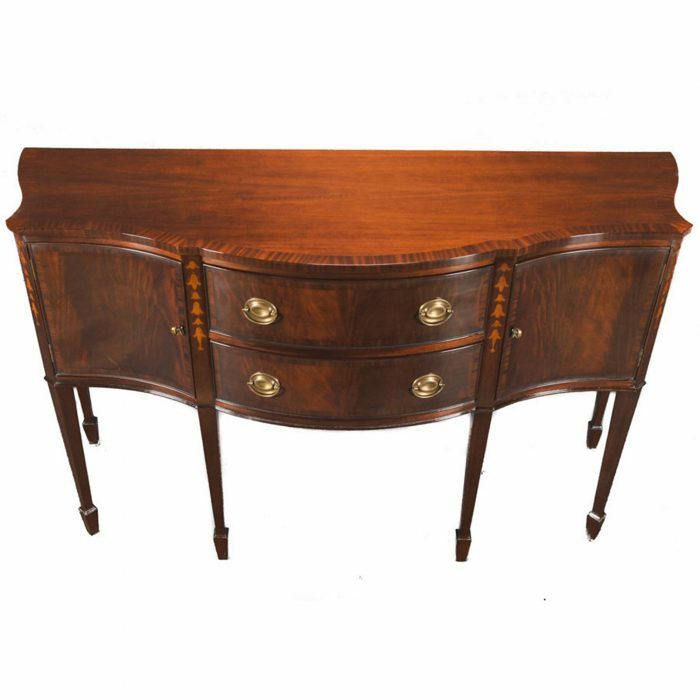 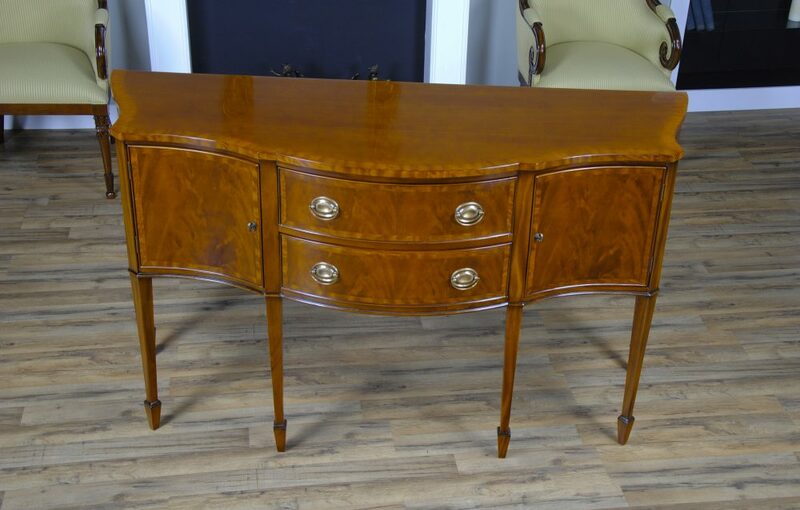 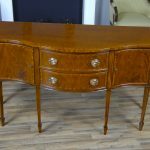 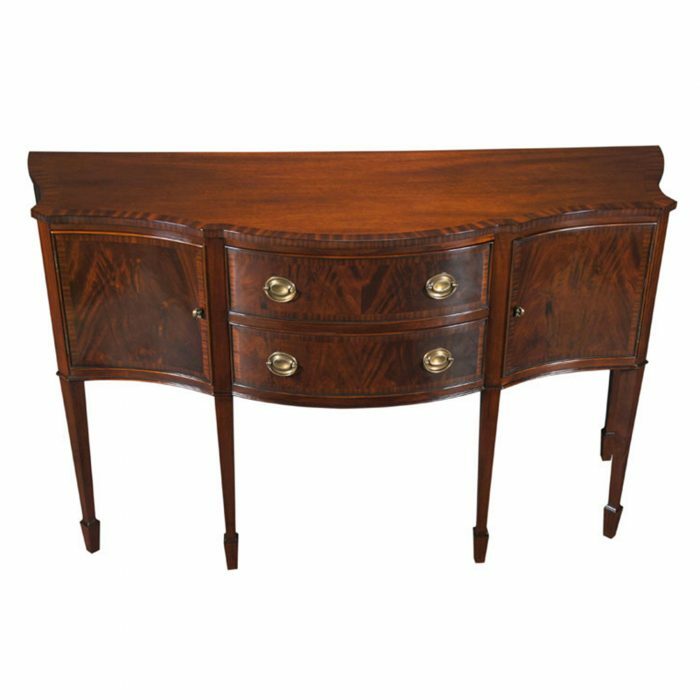 The serpentine shaped front is an antique style design feature and this shape is highlighted on the top of the sideboard with satinwood banding. 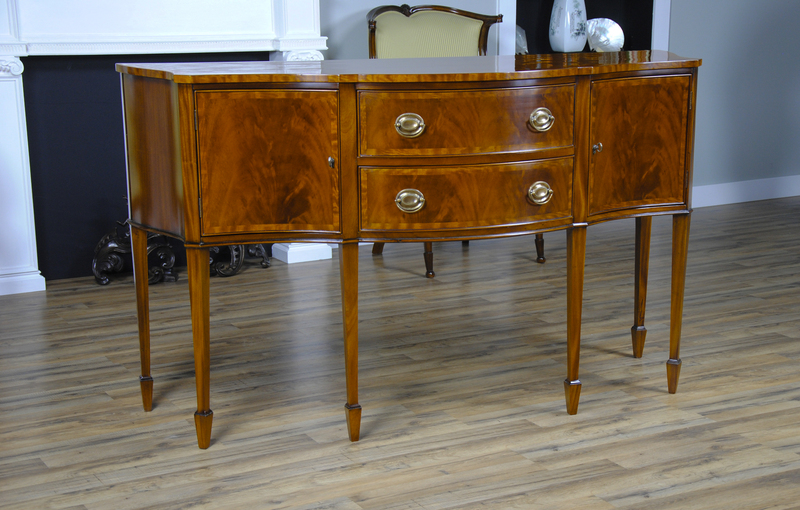 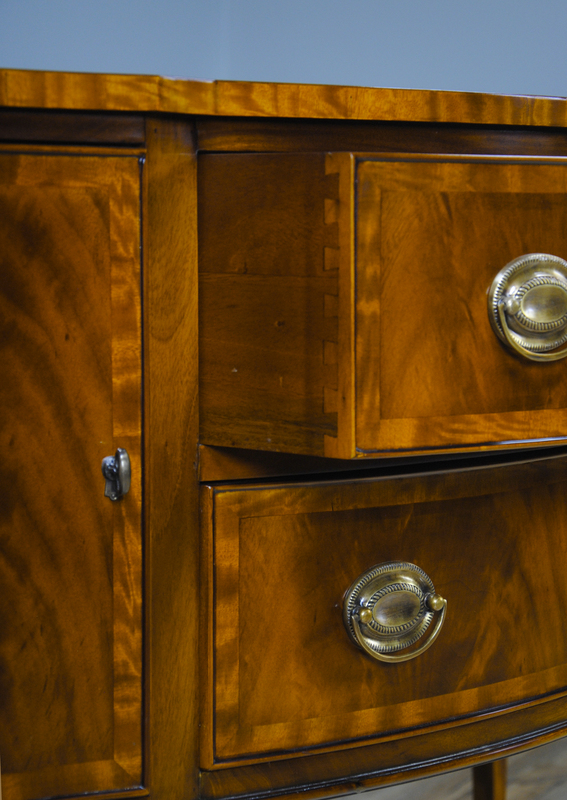 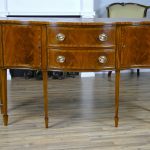 Continuing down the front of the Classic Banded Sideboard the two high quality dovetailed drawers are bowed forward and the two doors are curved inward to continue the flowing and fluid appearance, all being banded in satinwood as well. 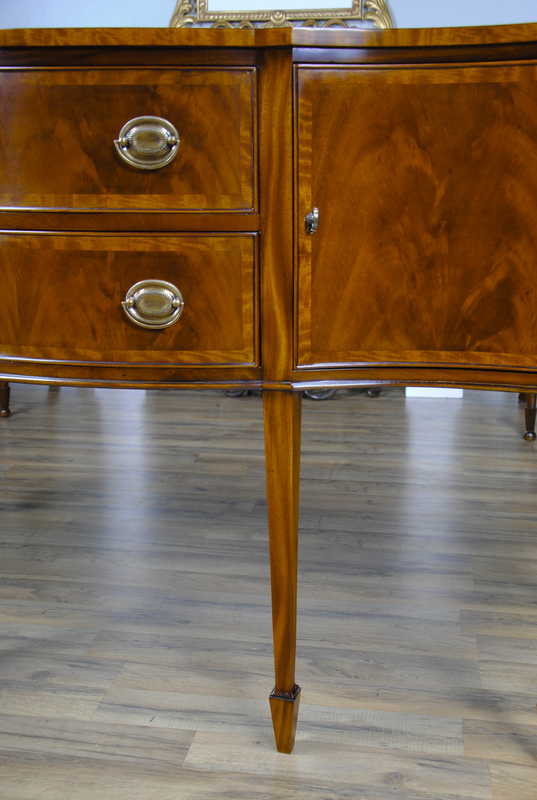 The whole buffet resting on square double tapering legs ending in a traditional spade foot design. 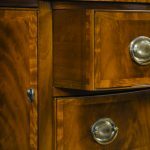 High quality construction throughout the piece carries forward to the drawer hardware which is manufactured using solid brass and shaped in a traditional oval design. 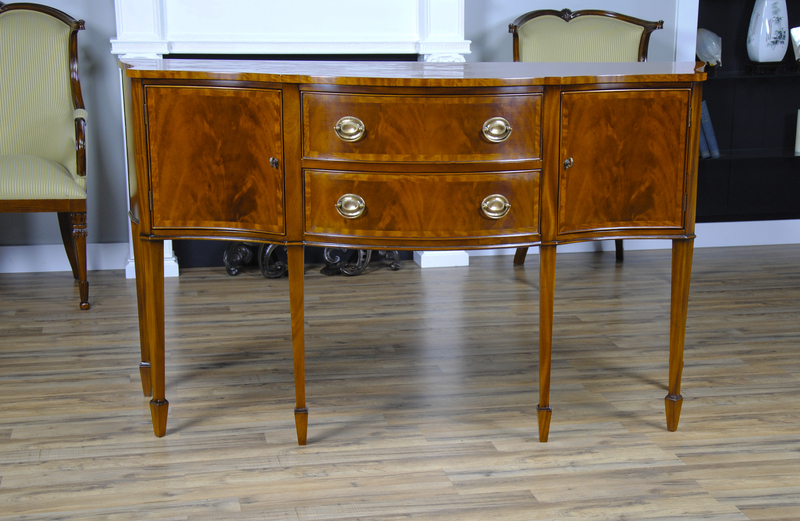 This particular model is finished a light golden brown hue. 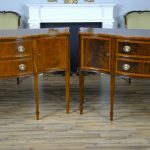 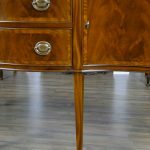 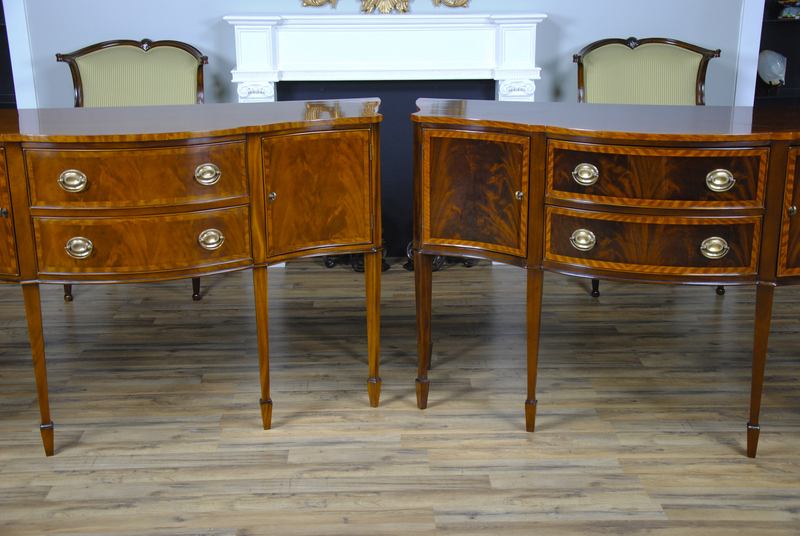 The final photo in the photo gallery shows the sideboard listed here on the left side of the photo while the sideboard on the right shows the same item finished in our traditional brown mahogany finish.